There will be no ARRL Audio News this week. The Audio News will return December 1, 2011. 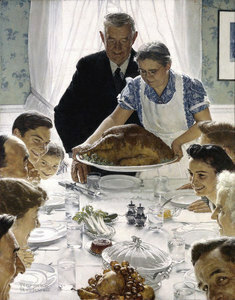 ARRL Headquarters will be closed November 24 and 25 in observance of Thanksgiving. There will be no W1AW bulletins or code practice transmissions those days. The ARRL Letter will be published a day early on Wednesday, November 23, but there will be no ARRL Audio News on Thursday, November 24. ARRL Headquarters will reopen Monday, November 28 at 8 AM Eastern Standard Time. We wish everyone a safe and bountiful Thanksgiving holiday. 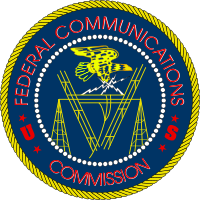 On November 18, the FCC released a Report and Order (R&O), defining new rules for the 60 meter (5 MHz) band. The new rules will not go into effect until 30 days after being published in the Federal Register, which has not yet happened. These rules are in response to a Petition for Rulemaking filed by the ARRL filed more than five years ago, and a June 2010 Notice of Proposed Rulemaking. In the R&O, the FCC replaced one of the channels, increased the maximum authorized power amateur stations may transmit and authorized amateur stations to use three additional emission designators. Read more here. On November 18, ballots were counted in the races for Director in the Atlantic, Delta and Midwest Divisions. This year, there were only three contested races for Director or Vice Director in the five Divisions holding elections. In the Delta Division, Vice Director David Norris, K5UZ, defeated Director Mickey Cox, K5MC, for the top slot in that Division. Bill Edgar, N3LLR, won re-election as the Director in the Atlantic Division. Cliff Ahrens, K0CA, also was re-elected in the Midwest Division. Terms for Directors and Vice Directors begin at noon on January 1, 2012 and run for three years. Read more here. Winter storms are nothing new to Alaska, "the Last Frontier." But even infrastructure built to withstand some of the harshest conditions can fail. As a November storm pummeled the small, isolated villages along Alaska's western coast, it knocked out power lines and communications across the region. The only way the villages could communicate with each other -- and with officials and weather forecasters in Fairbanks and Anchorage -- was via ham radio. "The hams were providing critical observations," explained Carven Scott, the Science and Operations Officer at the National Weather Service's office in Anchorage. "We don't have a lot of meteorological observations in the west. We don't have the instruments out there." Scott told the Alaska Dispatch -- an online-only news service -- that the messages he received from radio amateurs were "deceptively simple": How fast the wind was blowing and from what direction, sea level, wave height, whether it was snowing or raining and the temperature. "These seemingly small details from various villages made a big difference for the weather service," he told the Dispatch. "A lead forecaster told Scott that 'whatever you do, don't cut it off because this stuff is really helping us.' Through the ham radio network, Scott and his colleagues learned that river ice in Koyuk was backing up and spilling onto the banks, roofs had blown off in Nome, water was surging in Nome, and rain and snow were falling in Shaktoolik and Savoonga." Read more here. The 13th Annual SKYWARN Recognition Day (SRD) Special Event will take place Saturday, December 3, 2011. SRD is co-sponsored by the ARRL and the National Weather Service (NWS) as a way to recognize the commitment made by Amateur Radio operators in helping to keep their communities safe. According to SRD Coordinator David Floyd, N5DBZ, Amateur Radio operators can visit their local participating NWS offices, working as teams to contact other hams across the world throughout the 24 hour event. Read more here. Logbook of The World (LoTW) is continuing to accept and process logs, including logs from this weekend's ARRL November Phone Sweepstakes Contest. Currently, the processing delay is at 30 hours, down from 45 hours last week. As of November 23, there are approximately 857,000 QSOs in 3335 logs still waiting to be processed. If you have already uploaded a log, please do not upload it again; by doing so, you will only add to the queue. Do not send entire logs that contain previously uploaded QSOs; use the date range option when signing logs, selecting only those QSOs in a specific date range to upload to LoTW. By following these guidelines, you'll help LoTW process the backlog at a faster pace. Thanks again for your patience. The third edition for 2011 of Spectrum Defense Matters -- a newsletter aimed at keeping ARRL members updated on issues related to the protection of Amateur Radio frequencies -- was recently published on the ARRL website. This newsletter covers both domestic and international topics related to the Amateur Radio spectrum. Defending spectrum means protecting the way each of us chooses to enjoy Amateur Radio. It is important to have VHF/UHF allocations when radio amateurs are called upon to provide support during communications emergencies. But Amateur Radio is primarily a personal radio service where licensees have great latitude to develop their skills, experiment to broaden their knowledge base, serve their communities and to simply have fun. Your financial support is vital to continue the ARRL's work to protect your operating privileges. You can help to protect these privileges by contributing generously to the 2011 ARRL Spectrum Defense Fund. Read more here. While Solar Cycle 24 is making the high bands the focal point for HF operators, 160 meters -- often called "Top Band" -- is still chock-full of DX. There's no better time to explore this fun and exciting band than the ARRL 160 Meter Contest, running the weekend of December 2-4. The ARRL 160 Meter Contest is an all-CW event. 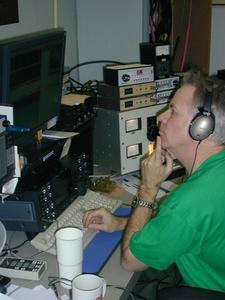 The object of the contest is for DX stations to contact American and Canadian stations (and vice versa). And according to ARRL Contest Branch Manager Sean Kutzko, KX9X, everyone will be seeking you, especially if you live in a rare Section such as North Dakota, Nebraska or any of the rare Sections from November's Sweepstakes contests. 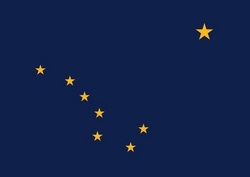 In this contest, Alaska (KL7) and Hawaii (KH6) count as DX, as do the Caribbean US possessions (KP1-KP5) and all of the Pacific Ocean territories (KH0-KH9). "If you don't have an antenna for 160, you should just load up whatever you have through an antenna tuner and give 'top band' a try," Kutzko said. "Even a 40 meter dipole through a tuner will make QSOs. And since ARRL and RAC Sections are each worth 2 points and count as multipliers, the ARRL 160 Meter Contest is a good way to begin working -- or finishing up! -- your Worked All States (WAS) award. But don't forget about those DX stations: each DXCC entity is a multiplier and is worth 5 points." The 2011 ARRL 160 Meter Contest runs from 2200 UTC Friday, December 2 through 1559 UTC Sunday, December 4. Logs must be e-mailed or postmarked no later than 1600 UTC Tuesday, January 3, 2012. Paper logs should be sent to ARRL 160 Meter Contest, 225 Main St, Newington, CT 06111. For the past 10 years, the US Office of Personnel Management has designated the ARRL to participate in the Combined Federal Campaign (CFC). In that time, this campaign for federal government civilian employees, US Postal Service workers and members of the military has generated more than $191,000 for ARRL programs since it first became an option for giving by federal employees to the League. The CFC provides an easy way to support the ARRL's effort to represent its members and all radio amateurs. Similar to the United Way, the CFC encourages individuals to pledge by payroll deduction to non-profit organizations of their choice. The ARRL encourages eligible radio amateurs to consider the League when designating campaign recipients. Payroll deduction through the CFC is an easy way for participants to support ARRL over and above their annual membership. Such contributions support programs that are not funded by member dues, enriching ARRL's ability to serve its members and all of Amateur Radio. Those wishing to select the ARRL to receive all or part of their payroll deductions should designate organization 10099 when completing their CFC donor forms. Donations to ARRL can be designated for Diamond Club contributions, the ARRL Spectrum Defense Fund or the ARRL Education & Technology Program. Donors may also make unrestricted contributions to the League. The 2012 CFC Campaign ends December 15. One important note: Since the CFC does not provide the ARRL with the names of individual donors, the ARRL Development Office would appreciate a copy of the donor form to ensure that each contribution is applied according to the donor's wishes and the contribution or pledge can be properly acknowledged. Please e-mail or fax a copy of your completed pledge form to 860-594-0259. If you've ever wanted a way to show the world how exciting Amateur Radio can be, here's your chance: The ARRL is sponsoring its Second Annual Video Contest! Here's a chance to put that video camera to use: Shoot a ham radio-related video and send it our way. If your video takes first, second or third place, we'll post it on the ARRL website for everyone to see. We're looking for a few good videos (but only one per ARRL member, please) on any tasteful subject relating to Amateur Radio. While you are welcome to submit a video on any theme, we're especially looking for videos that illustrate the joy and excitement of Amateur Radio. Videos will be judged on overall quality and composition, and prizes will be awarded. This year, the ARRL will be offering two categories: Professional and Amateur. The Professional category is intended for entrants who are professional videographers or those who have access to professional-grade video equipment and software. Both categories will have prizes for first, second and third place. Read more here. The Sun, as seen on Thursday, November 23, 2011 from NASA's SOHO Extreme Ultraviolet Imaging Telescope. This MDI (Michelson Doppler Imager) image was taken in the continuum near the Ni I 6768 Angstrom line. The most prominent features are the sunspots. This is very much how the Sun looks in the visible range of the spectrum. Tad "We drove off into the sunset" Cook, K7RA, reports: There is not much in the way of solar excitement this week. 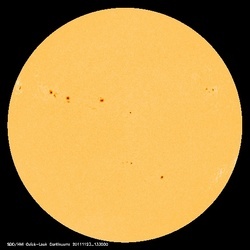 While there are many sunspots, the solar activity in terms of flares or coronal mass ejections is low. The overlapping (by one day) average sunspot numbers in this bulletin declined 21 points to 124. We should see good conditions for the CQ Worldwide DX Contest, which runs this weekend (November 26-27). The latest prediction from USAF/NOAA shows the solar flux at 140 on November 23, 145 on November 24-27, 150 on November 28-29, 155 on November 30, 160 December 1-2, and 165 December 3-7. The predicted planetary A index is 5 on November 23-27, 7 on November 28-29, and then 5 on November 30-December 24. Look for more information on the ARRL website on Monday, November 28. For more information concerning radio propagation, visit the ARRL Technical Information Service Propagation page. This week's "Tad Cookism" is brought to you by Arlo Guthrie's Alice's Restaurant. ARRL members in New Mexico, Tennessee, and Michigan will have new Section Managers, beginning January 1, 2012. Members in Kansas also re-elected their Section Manager in a balloted race that concluded when ballots were counted and verified at ARRL Headquarters on Tuesday, November 22. Read more here. In a story published on the Fox News website on November 22, reporter Michelle Macaluso called Amateur Radio the "newest trend in American communication." Macaluso cited numbers provided by the FCC that proclaimed that in October 2011, there were more than 700,000 radio amateurs in the US. Read the story here on the Fox News website. Copyright © 2011 American Radio Relay League, Incorporated. Use and distribution of this publication, or any portion thereof, is permitted for non-commercial or educational purposes, with attribution. All other purposes require written permission.